Strategic Management Blog: From Theory to Practice How do I know where to begin a strategic planning project? How do I know where to begin a strategic planning project? To create an effective strategic plan and management system is a major challenge for any organization. To do so without the necessary preparatory steps will, in all probability, result in wasted time, energy, misdirected efforts and can even lead to the resulting plan failing. 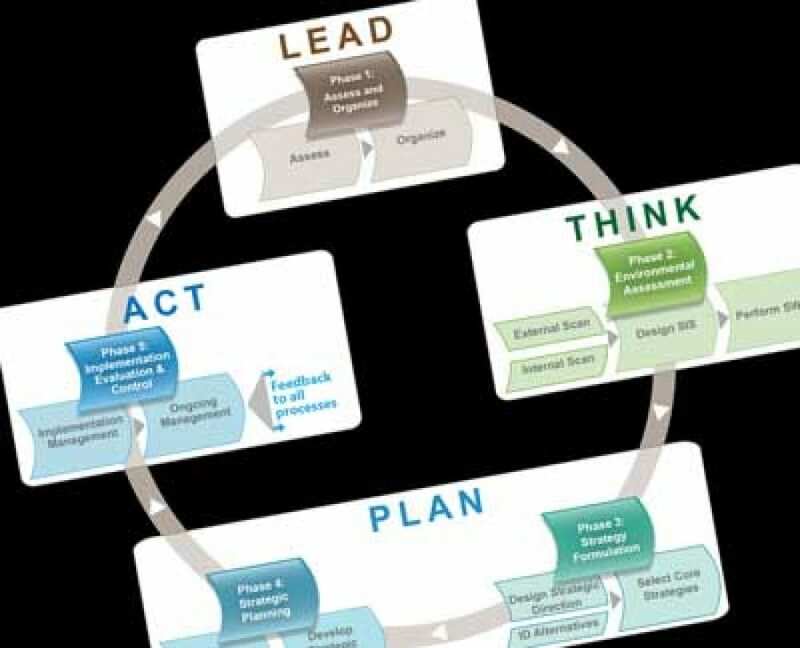 Having a clear understanding of where your organization’s journey begins is vitally important and too often a missed step in many strategic planning processes. So what are the first few steps? While there is no one answer, as circumstances and needs very from situation to situation, there are some guidelines to follow, including gaining a thorough understanding your organization’s current strategy, whether it is working or not, and importantly understanding the capabilities of your team. If your organization has done little or no strategic planning and management, the scope of the program should early on include efforts to strengthen your team’s understanding of these tools and techniques. In any situation a gap analysis exercise can be helpful too. Begin by listing the elements of a first class strategic planning and management system. For example, SWOT Analysis, vision/mission/core values statements, a high level goal statement(s), a customer value proposition, a balanced set of objectives, a strategy map with cause and effect relationships identified, a valid and valuable set of key performance indicators, a small set of high level cross functional initiatives, and a strategy management calendar linked to the annual budgeting process. Once the elements of the system have been identified, every effort should be made to accurately assess each element to see if 1) it needs to be developed from scratch; 2) it only needs refinement and updating; and 3) it exists, it is valid and it requires no further attention. This initial assessment, in large measure, will determine the basis for how best to organize the process.